Repro Engineering strive for continuous improvement in quality with regards to production and final product, by strictly adhering to the comprehensive Quality Management System in accordance with AS9100 D and ISO9001:2015 approval, by the NQA. In addition, Repro are registered on the IAQG Online Aerospace Supplier Information System (OASIS Database). The company works closely with customers to ensure complete satisfaction, and the quality system is audited by the customer base quality representatives. 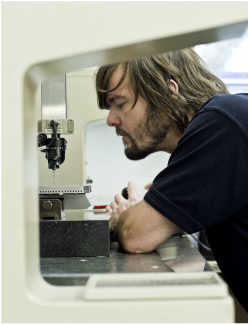 A variety of metrology equipment is utilised ranging from a Talyrond roundness tester to a TESA Microhite 3D manual CMM. 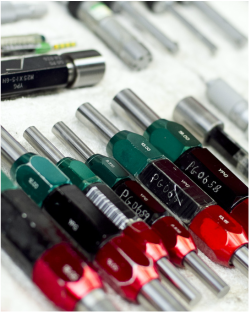 Repro Engineering is always investing in the ability to ensure conformity to ever increasing precision machining requirements. Repro Engineering’s technical and planning teams provide efficient and professional support from the earliest stages of product development all the way through to final delivery. Furthermore, the Quality Assurance department has the ability to carry out first article reports to AS9102 revision B standards.